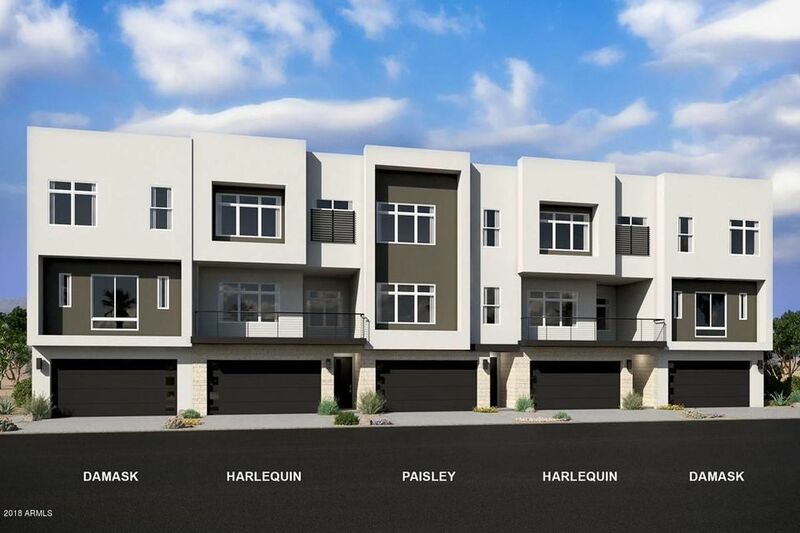 All POINTE 16 homes currently listed for sale in Phoenix as of 04/23/2019 are shown below. You can change the search criteria at any time by pressing the 'Change Search' button below. "Views, views, views! Better than new this amazing home was highly upgraded from top to bottom and then exquisitely finished by professional designers. The home features upgraded tile and carpet throughout, custom recessed lighting with smartphone technology, Restoration Hardware light fixtures in the entry and dining room, 3 piece sliding wall of glass in the great room to take in the views, custom venetian plaster by Hopper Finishes, and custom window coverings by the Shade Store, many which "
"This is the absolute BEST location in the complex! 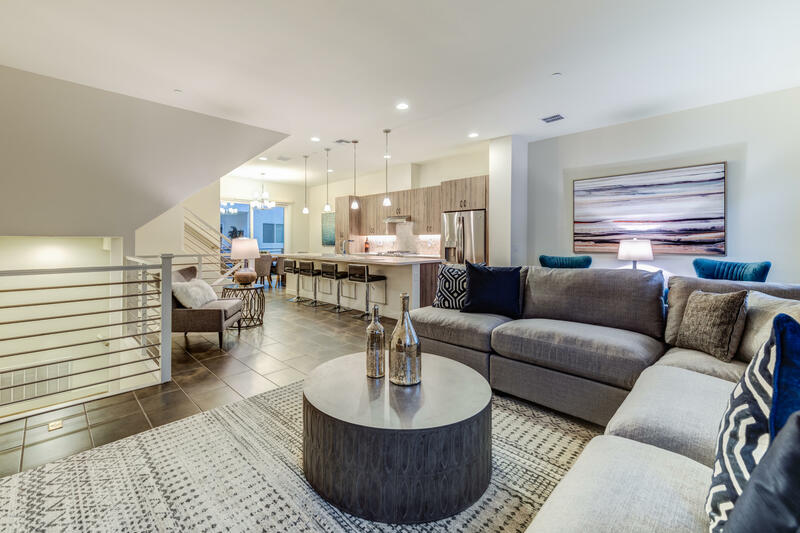 Nestled at the base of Piestewa Peak, This Highly upgraded Damask model home now offered for sale. Well thought out design with unsurpassed mountain views from rooftop deck. Expansive balcony from Family Room overlooks the lovely pool area and green spaces. 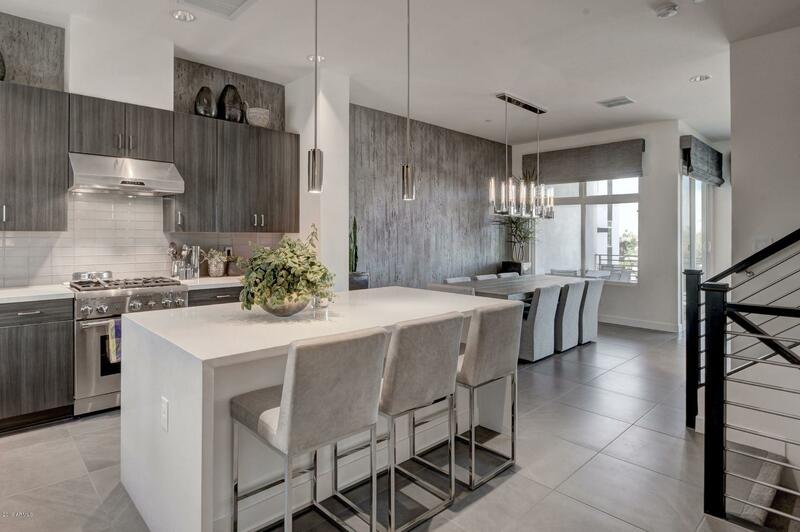 Gorgeous mountain views from windows.High end Euro Style Frameless Foil Cabinets, Granite Counters with Tile Backsplash, LED Can Light for layered illumination, Pendant Lighting, GE Applianc"
"Welcome to Pointe 16! 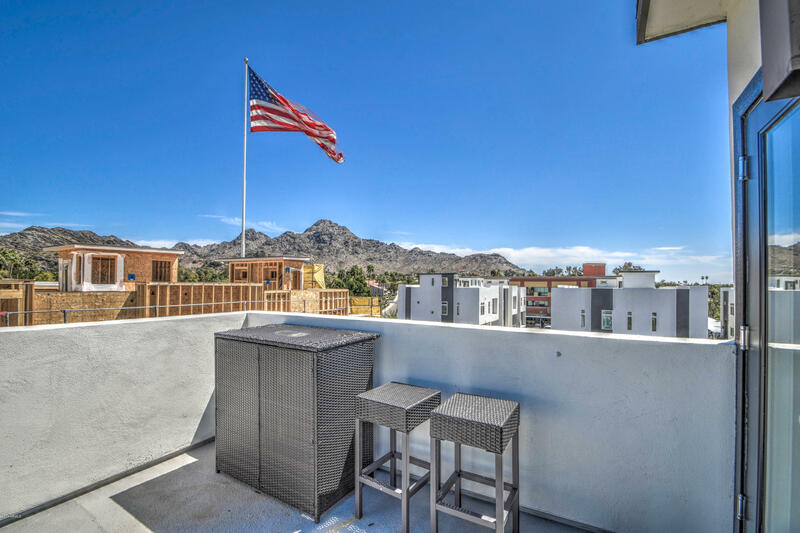 New in 2018 this 3 story loft style townhome is conveniently located in North Central Phoenix and is surrounded by mountains, the Pointe Hilton Resort, restaurants, located just minutes from the 51 and downtown Phoenix. The ground level features a bonus room and half bathroom. The main level is an open concept kitchen and great room with a half bathroom. The kitchen features soft close cabinets, stainless steel appliances, gas range, an oversize island with white quartz cou"
"Luxury Townhome, 3 bed + 3.5 bath, Thermofoil white cabinets, multi slide door at great room, GE Profile: 36'' gas range/oven, in island micro, hood vent, dishwasher, washer & dryer, window blinds, Quartz countertops white ice, upgraded low voltage and electrical options, customized design selections throughout home. This home has all the nice finishes!! Only 7 homes left! Don't miss your opportunity to live in Pointe 16!!"